Your guests will be excited for your wedding after receiving your country save the date invitation! From classic cowboy hats to chic photo cards, you'll find the perfect save the date for your wedding. 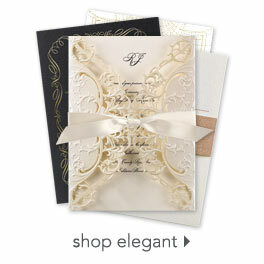 Pull your whole look together with coordinating country wedding invitations and wedding accessories perfect for your day!